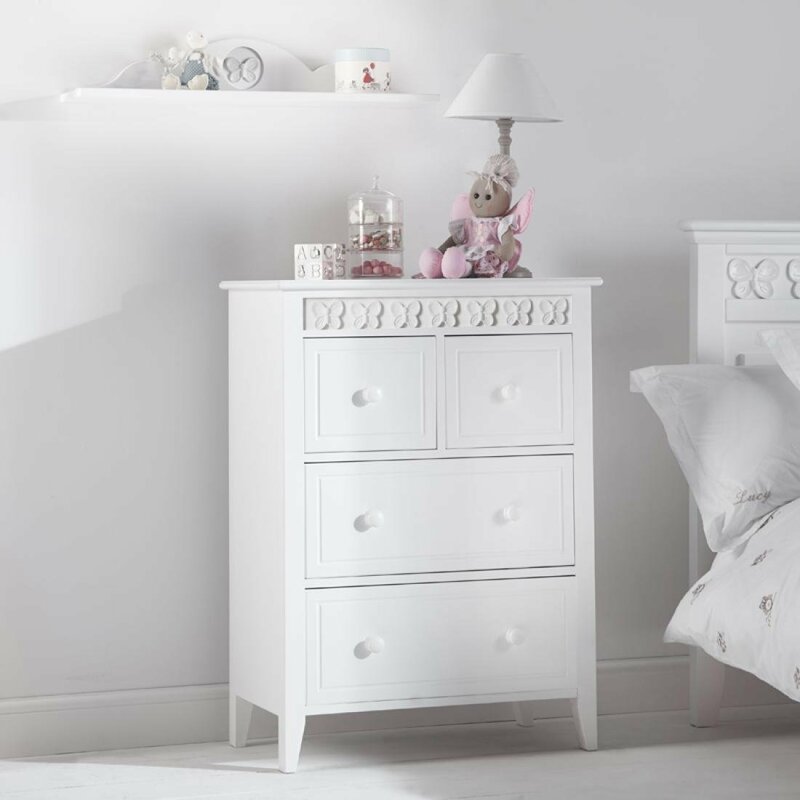 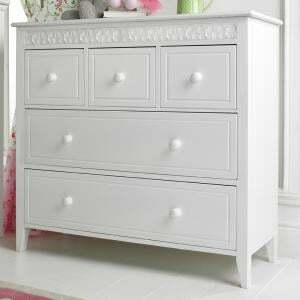 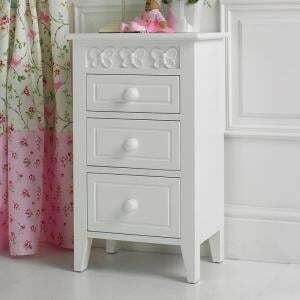 A smaller but equally stunning girls chest of drawers from our Florence Flutterby Collection available in different colour options. 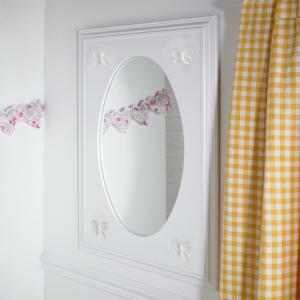 Featuring hand casted resin butterflies that give a luxurious depth and definition. 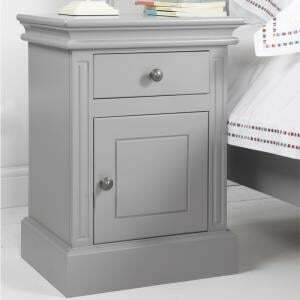 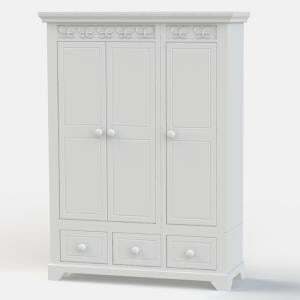 Hand made by our factory here in England this is a quality piece of furniture. 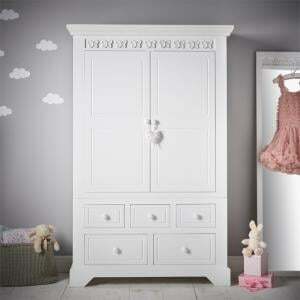 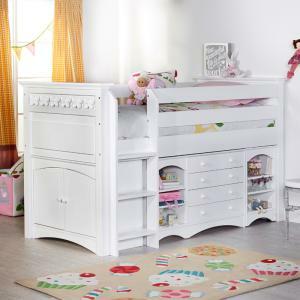 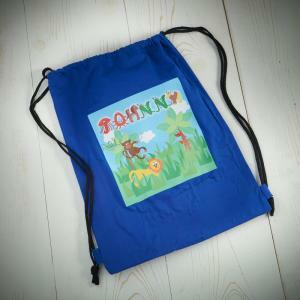 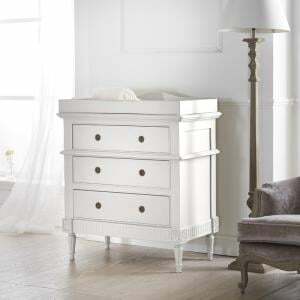 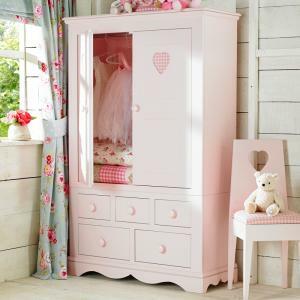 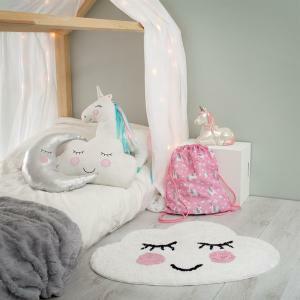 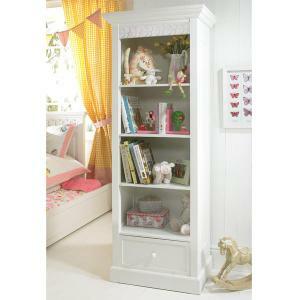 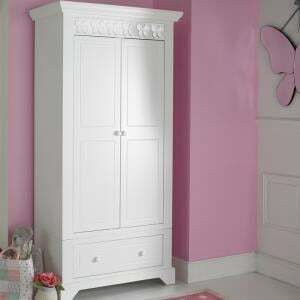 A truly beautiful and unique range of childrens furniture please scroll down below for matching furniture items.